Hi. I am excited to be taking part in Tracey McNeely's 25 Days of Christmas Tags series on her blog, In My Creative Opinion. I am taking part for Neat & Tangled stamps. I decided to make a shaker tag using a Pretty Pink Posh die - decorative tags 1 and the Little Santa Girl set from Neat & Tangled. I need to stop making mostly white cards and tags I think, they just don't photograph that well for me but it does look really pretty in real life. 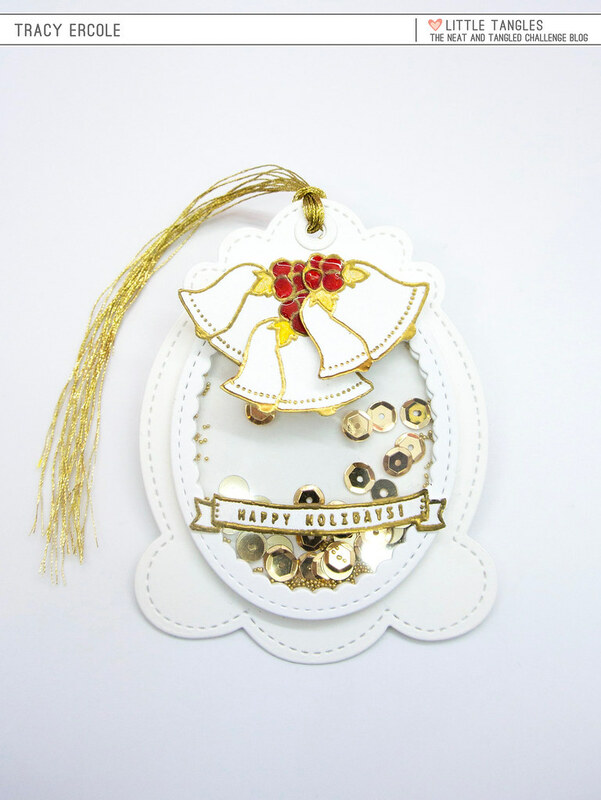 LOVE your SWEET sentiment banner, GORGEOUS shape and BEAUTIFUL bells, LOVE IT ALL!!! Such a pretty tag Tracy!! Love that you made a shaker! !